This page compares OTDOA vs U-TDOA and mentions difference between OTDOA and U-TDOA. 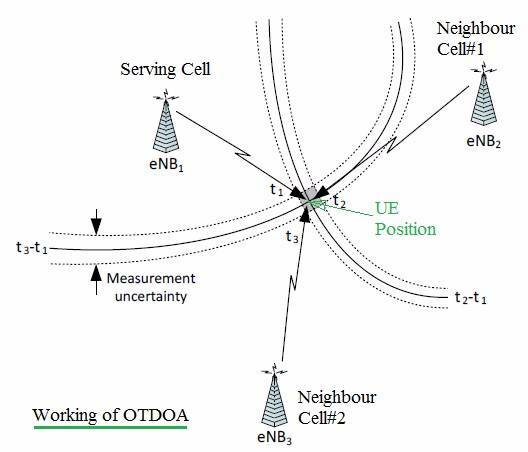 OTDOA method measures UE position based on downlink signal measurement while U-TDOA method measures UE position based on uplink signal measurement. • It is defined in 3GPP Rel-9. • It is known as downlink Observed Time Difference Of Arrival. • It is assisted by UE. It means downlink signals from serving cell and multiple neighbours are received by UE. Later the UE determines time difference between serving and neighbour cells to conclude on the position. In LTE, special reference signal known as PRS is transmitted regularly for this estimation purpose. UE sends the RSTD (Reference Signal Time Difference) information to the network back. Based on feedback, eNBs determine position of UE. • It is a handset or UE based method, where in UE (mobile) is responsible for the measurement of time difference. Refer OTDOA basics and working >>. • It is defined in 3GPP Rel-11. • It is known as uplink Time Difference Of Arrival. • It is assisted by eNB. The uplink transmissions from UE are received by highly sensitive receivers which will determine the time differences of arrival and hence UE position. 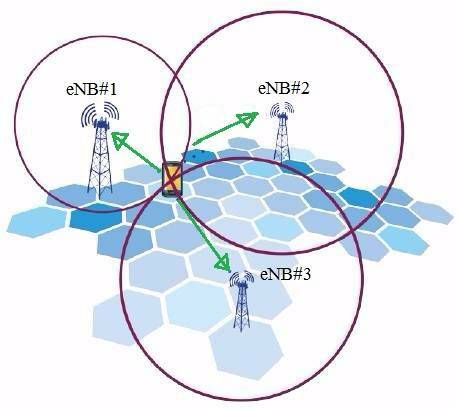 • It is network based location estimation method and it does not require any UE interaction for position determination.